To protect the Retrievers organization in the event of damage or theft, we require a deposit for the use of our monitoring cameras, humane traps and needed accessories. This deposit is fully refundable upon the safe return of the equipment, less a $10 processing fee plus shipping costs, if any. Please use our Paypal account to pay your deposit (all major credit cards are accepted). I agree to have The Retrievers assist in the deployment of a camera and/or humane trap and accessories and agree to the deposit requirement below for the use of this equipment. This deposit will be refunded to me (less a $10 processing fee and shipping costs, if any) upon the return of all undamaged equipment. 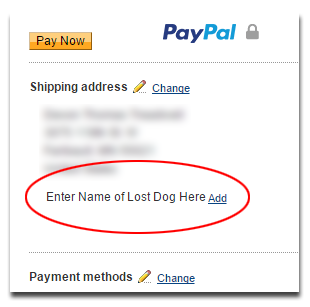 IMPORTANT: To ensure that your deposit is properly credited, please add the dog’s name on the Paypal payment screen under the shipping address. Note: Raytrippers are loaned only for active Retrievers cases. To borrow a Raytripper, please engage the team by submitting a Request Assistance form.